Master Box Dimension : 20" X 15" X 22"
57 Piece airport play set comes with everything you would see at the airport. 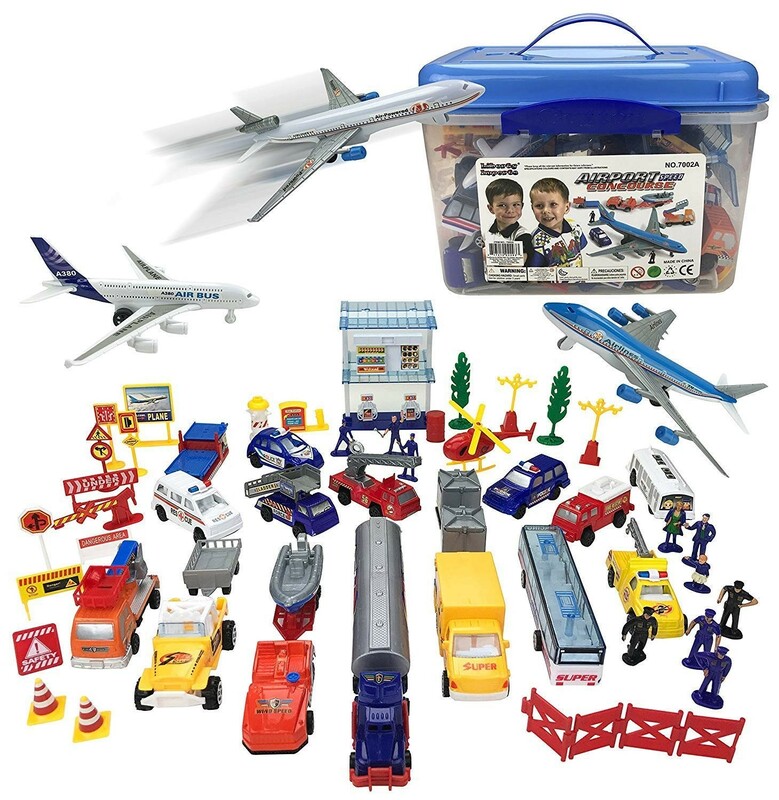 Set comes with planes, vehicles, police figures, workers, trucks, and many more accessories. Great gift for hours of pretend play. Planes have moving wheels so they can be easily pushed around. Great realistic and color design. No batteries needed, ready to play right out of the box.